A couple of Wonder Woman pin-ups the great Steve Rude the Dude! 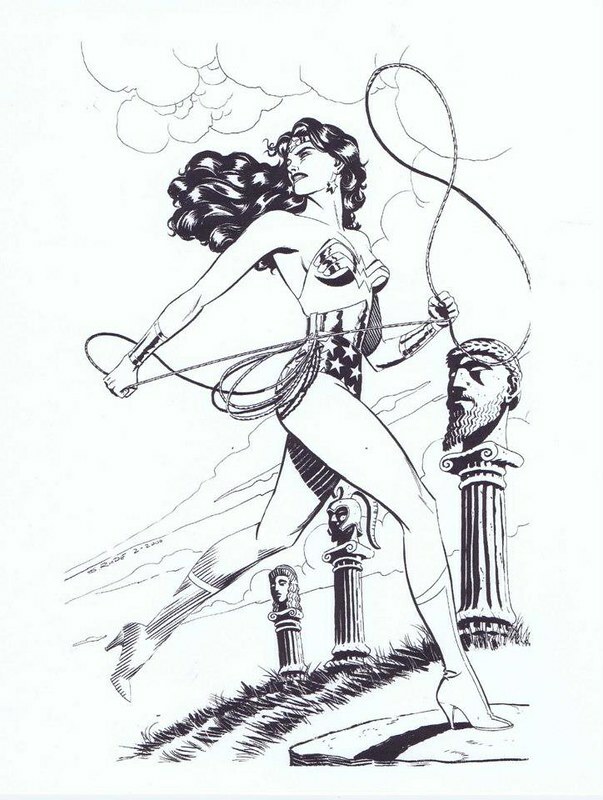 Wonder Woman standing before a series of busts, symbolizing her stature among the Greek gods. 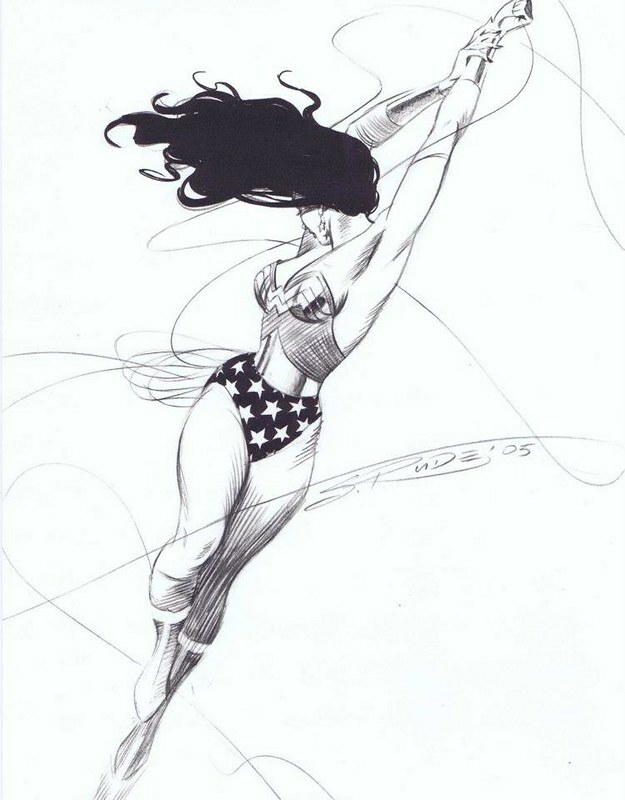 Wonder Woman in flight, tying that gnarly lasso together. Nuff Said!